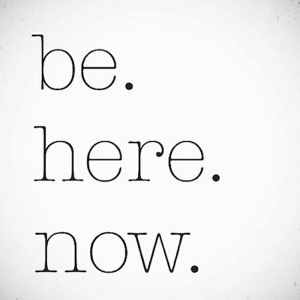 It is so important to be present in the moment- being in it!! But most of us are wanderers- not knowing where are we heading towards. It is so simple to enjoy life’s little moments- by just being in them. Do not judge people and accept them as they are. Do not let people’s conduct control your thoughts and behavior. People flourish in acceptance. Just be present and accepting. If after deliberation you resolve to spend extra time with them then do so, if not then part ways with dignity and respect. Be conscious of your thoughts- Make a conscious effort about where your thoughts wander off and keep bringing them back to the now. Set a reminder- Do this multiple times in the day to pause and gather your gifts. Meditate- Do this at least once a day to zoom out and regroup. Stop fantasizing- Just as misguiding negative thoughts can be, as they derail you, so can building castles in the air. Swap your fantasies with full presence and being in the moment. Give your all into what you’ve got, right in front of your personal or private life.